Overbooking is a bad habit of airlines and hotels, but they aren’t the only ones who do it. In fact, it may be causing you stress right now. 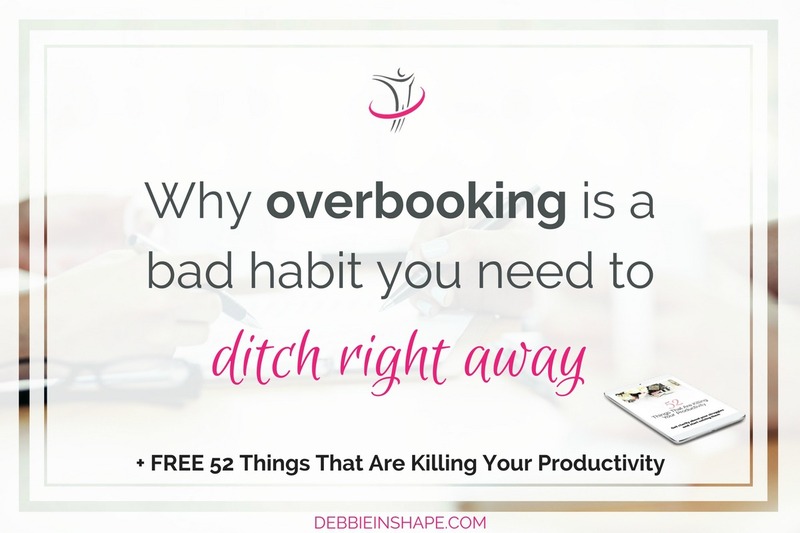 We all agree that overbooking is a bad habit, don’t we? Have you ever been a victim of it? The first time, I didn’t care much. I was just a teenager who was going to fly for the first time. I had been in a flight simulator before, but that was the first real deal. The whole contacting hotels, rebooking rental car, etc, wasn’t my responsibility so why bother? Well, then, I was flying back to Belgium for my exams after spending summer vacation with my mom in Brazil. After two days going back and forth to the airport, I just got the first flight I could to Europe and made the rest of the trip by train. And I hope these will be the only overbookings I’ll ever need to go through. It’s easy to notice overbooking when we aren’t the ones causing it. But overbooking is a bad habit exclusive during vacation. It happens in our everyday life as well. Unfortunately, it might be happening right here, right now. Start by looking at your planning. I do hope you have one, but if not, I got you covered. 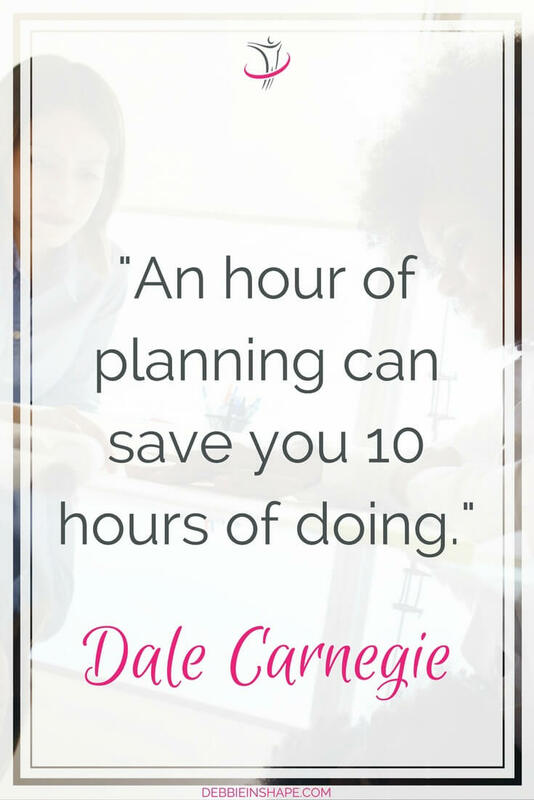 When you look at your planning, do you recognize any overbooking? Sometimes we go to the extreme of writing two activities on the top of each other. However, it isn’t the only way it happens. Many times we simply tell ourselves that “while doing A, we can also do B or C”. In other words, we double book ourselves. Please let me know it in the comments below if it sounds like something you did or do? Nothing good comes from overbooking yourself. The same way you can’t do 2 or more things at the same time efficiently, why scheduling them together anyway? Well, I got 5 for you just to get started! Think of your day as-is. If you’re here, reading this post, I’m assuming you have a busy life and you’re looking for balance. You juggle career, family, and social responsibilities while trying to stay sane. Chances are you sleep a lot less than you should and you have thousands of things in your mind you can’t forget. This is an exhausting lifestyle! To be able to keep up with more one responsibility at a time, we push ourselves to a Fight Response. We need the adrenaline rush to keep up with everything that is going on and we go for it! Without realizing it, we develop a state of chronic stress. However, all our extra efforts end up causing very negative results for our health and wellness. Because our brain simply doesn’t like the overbooking madness, there’s only so much we can do in this state. When it doesn’t, we feel frustrated with ourselves. On top of that, many times we also have to deal with the high expectations of others. It’s common to feel like a failure when we can’t keep up with our word. Whether we keep track of our overbooking or not, for as long as we make it a habit, we’ll feel overwhelmed. There’s no way we can feel well when there’s so much going on in our life. And the worst of all is that we get accustomed to it and make it a habit. A habit we generally only break when a burnout hits us. Procrastination is common when any of the reasons above happen. But we’re so busy all the time, we just can’t keep up with everything. 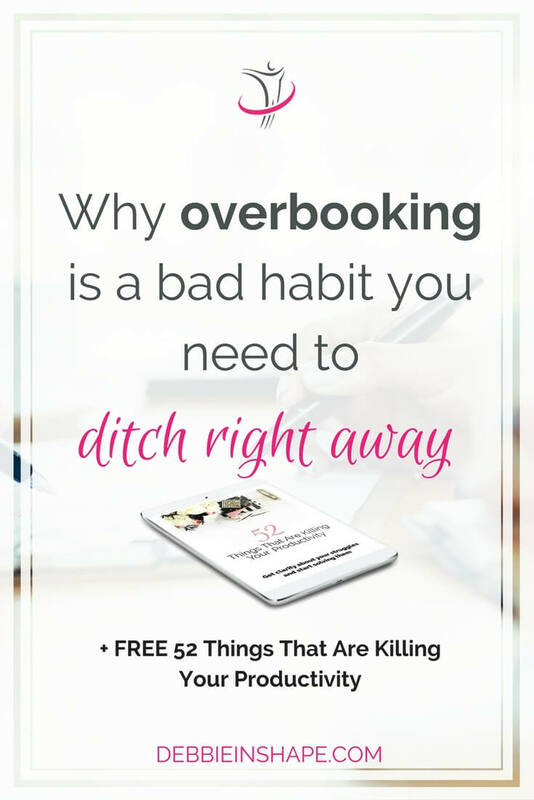 The first step you need to take to deal with overbooking is understanding that it’s nothing but a habit. Maybe you imposed it on yourself, or it was peer pressure. Either way, it brings more damage than good, and above all, it kills productivity. Acknowledge overbooking and take the necessary steps to get back on track again. If you need help to get started, motivation and accountability join our challenge. 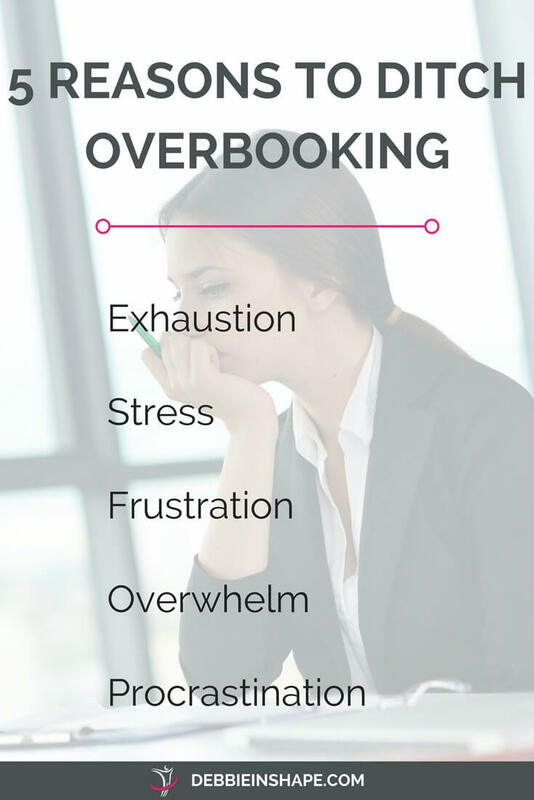 We’ll go through the steps you need to take to overcome the bad habit of overbooking once and for all.